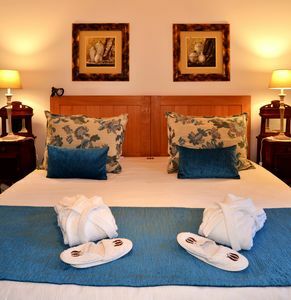 In the apartment, which is on the ground floor, the bedroom is bright and spacious with a large double bed and wardrobe. 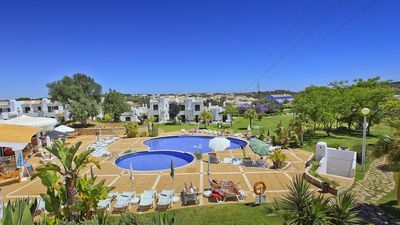 There is a large lounge area with fireplace, additional sofa bed, TV (MEO channels with international selection), and opening to the south facing terrace. 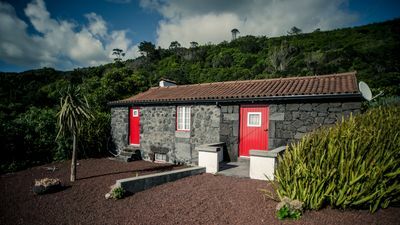 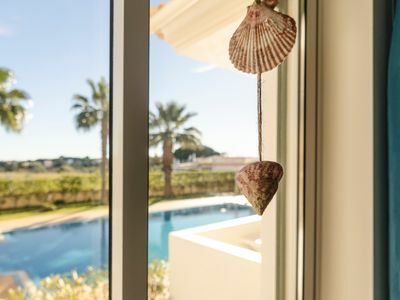 The kitchen is very well equipped should you feel the urge to create something delicious, and you can opt to dine al fresco on the sun terrace, with those tranquil views. 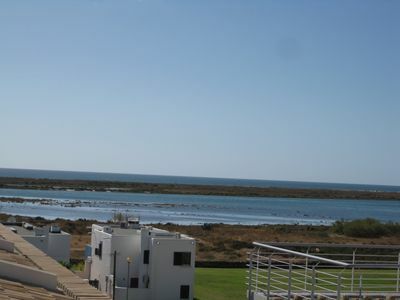 This apartment is ideal to "snowbirds" wanting to runaway from the northern cold, to young couples or to families with 2 children. 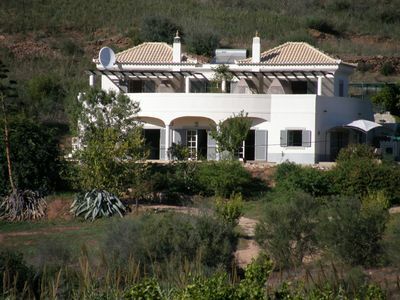 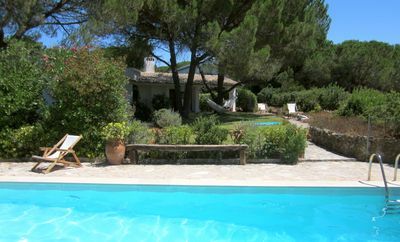 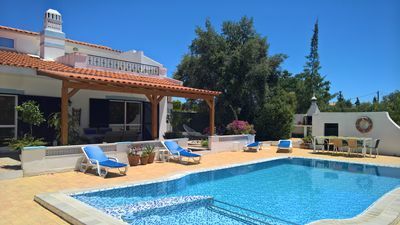 The Solar da Quinta closed complex is very quiet during most of the year and has a large south facing swimming pool. 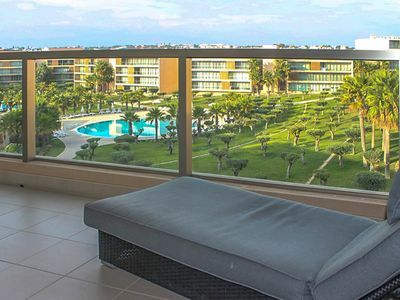 The apartment offers sun-loungers and pool towels. 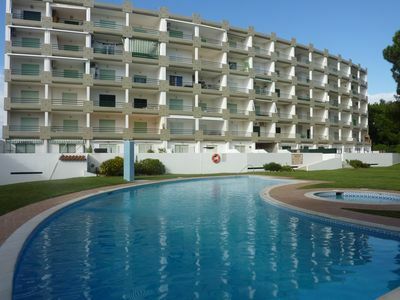 Families staying in this self catering apartment will never be short of entertainment. 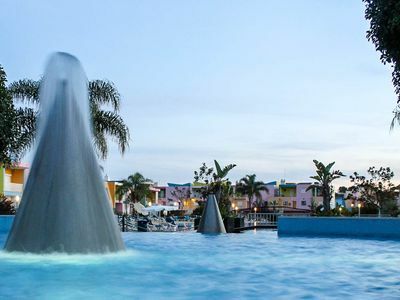 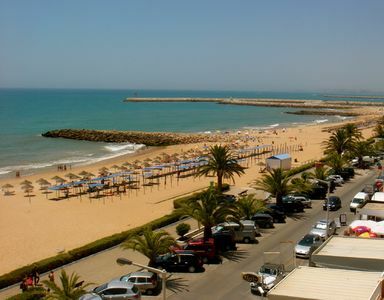 Olhos d'Água is 2km away, as well as the award-winning Falesia beach, Vilamoura with its manicured boulevard, posh marina and countless golf courses is 5km away to the east, and the center of Albufeira is also 5 km away to the west. 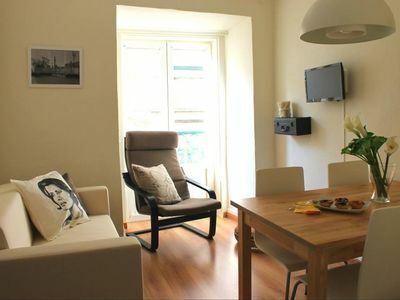 Apartment with excellent location in the center of Lisbon, fully renovated in June 2013 in a quiet area. 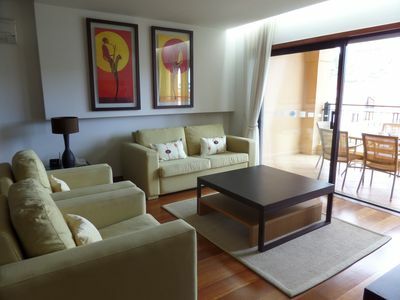 A 5 minute walk to the Metro station (Chiado) and train (Cais do Sodré - Rossio). 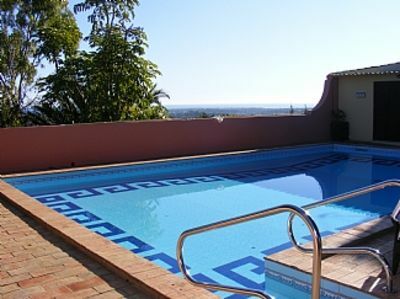 Albufeira, Herdade dos Salgados, Vila das Lagoas, 2 Bedroom apartment with fabulous pool view.